'As we take the next steps, let’s be patient with God and kind to one another', urges LCA Bishop John Henderson in his closing address to Synod. On the route to our destination, there is still uncharted territory to cross. God given us the overall direction, but not necessarily a map of all the details. We have God’s Word as our guide. By faith we will be able to do what we need to do. We will press on because turning back is not an option. Like the Israelites, who could not go back to Egypt, however daunting their journey, our only option is to press on to whatever God has in store for us. As we take the next steps, let’s be patient with God and kind to one another. Let’s put into practice the grace and forgiveness we ourselves receive daily. Jesus taught us to pray, ‘forgive us our sins as we forgive those who sin against us.’ In that spirit, untied by the bonds of Christ’s love, the church is an indomitable force for good. Yes, we Lutheran Christians can and will achieve far more than we ever imagined was possible. We are here for a purpose. Together, let’s discover that purpose. God has given us work to do. Until our dying day we will work, and wait, and pray to be ready for the time when all that we needed to do has been done, and God will say, ‘Well done, good and faithful servant.’ Then we will know that we have fulfilled the purpose for which God has preserved us. Along the way, and until we reach that goal, God will keep his promises to us – be certain of that. Today we return to our everyday lives. Let us fix our eyes on Jesus, with the sure and certain hope of our destination, the resurrection to eternal life. Whatever comes, however long the journey, nothing can rob us of our hope in him. 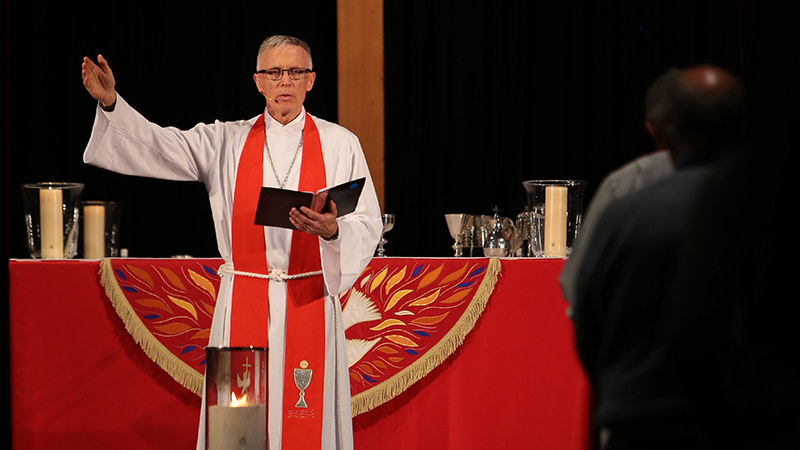 Read the full text of Bishop Henderson’s sermon.